Wisdom Science: What did you see first? This will tell you a lot about you! What did you see first? This will tell you a lot about you! This test is an optical illusion, all you need to do is to look at the picture and memorize what you’ve seen first. This image can tell you a lot about your current life situation. 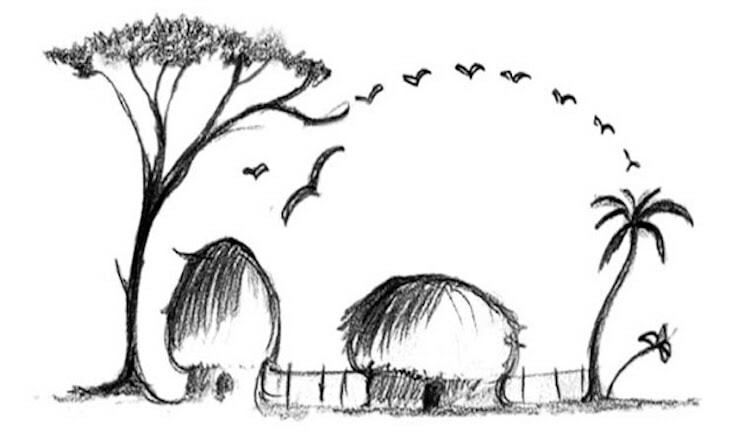 This image is closely associated with freedom: birds, and the village itself. You are a free and independent person. You are a boat, and shore is a life. You are not tied to the shore, and you can easily get lost. You do not know the boundaries between allowed and forbidden. Such attitude can lead to conflicts and even divorces. After all, most people do not understand the wisdom of a free person. Such free spirits often become lonely in life. But the world needs them! You are a unique person — an amazing and talented one. You are an interesting for other people and they want to spend time with you. You can feel people and also you are a great listener. You are an extraordinary person, and you can choose what exactly you would like to do in your life. You can overcome any difficulty if you believe in yourself. So do it! t means that now you feel you need to be protected. You need someone who will cover you like this elephant covers the huts. It is a period in your life you feel insecure. You are a kind, honest, humble, sincere, and generous person. Unfortunately, you are experiencing hard times. Now your inner voice shouts quietly to you, that it’s time to move on. Shake off all the dust and dark thoughts and continue to live, create, smile, speak, scream, love and forgive. Each time you feel you are too scared to move on, remember this elephant. It will help you to calm down!